Can I get a job once I get my qualifications? 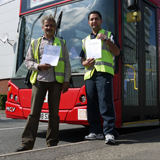 Why should I book a free PCV (PSV) assessment? Can I have the free assessment period as part of a lessons? Do you offer free training in your packages? ? Should I check out other PCV (PSV) driver training schools? Why should I choose GP? Picking a driving school is a paramount choice when looking to accomplish the license you require for an expert driving position. It may be a license to drive a bus or a heavy goods vehicle, you like to ensure your decision of driver training organization gives the best worth for cash whilst guaranteeing you pass your test. The GP Training PCV Group is a leading provider of complete, cost effective driving courses designed to support the preparation needs of both people searching for a profession change and organizations in the passengers transport industry. We pride ourselves on our current responsibility for better driver knowledge, expertise and wellbeing on the road. Our key target is a substantial and particular focus on each driver's training, which has resulted in the improvement of an extensive variety of courses to suit each prerequisite. That is the reason individual and customized driving lessons are the groundwork on which we raise certainty in our learner drivers. The GP Training Passenger Carrying Vehicle , is a remarkable project, giving the precise best in the driver training services in the neighborhood and local transportation enterprises. 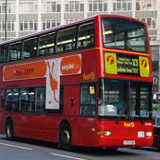 We employ expert DSA approved instructors who have several years experience in helping individuals through the methodology of figuring out how to drive a bus. Our trainers are highly qualified and observed to be of the highest standards. Once you have passed your PCV test you will have your Certificate of Professional Competence (CPC) a broadly recognized capability. When qualified as a PCV driver or once you have obtained the CPC, our devoted recruitment counselors will aid you in discovering the ideal job. We believe that with a steady studying environment and cordial coaching and consultation everyone can figure out how to be a skilled and professional PCV driver. Notwithstanding the standard training service we can additionally offer a comprehensive course that will quick track you to qualification within a week. We are proud of our administration and of the many drivers we've prepared. 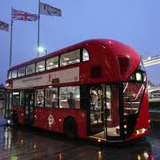 We are London's first option for PCV training. So get in touch immediately and arrange to make the jump into an electrifying profession. Once you come to us to avail the services of getting trained in driving PCVs, you will be introduced to the finest team of DSA trainers who are providing training sessions for us in London since many year. 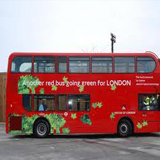 All the PSV/PCV training that we are providing in London has a success ratio as we are having the record of people who have cleared the PCV coach tests, along with PCV minibus and PCV bus test once they were trained by us. If you are interested in availing a category D1 or PCV category D licence, then you must have attained the age of seventeen. In addition to this, you must hold a valid driving licence under category B licence. Below mentioned are some more requirements that are essential before you avail the PCV licence. 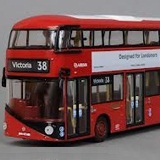 •	Once you have cleared the medical tests, you have to apply with the DVLA so that you can take the further steps to learn how to drive PCVs (public carriage vehicles). One benefit that you can avail from the provisional entitlement is that, you need not apply for the same again. In addition to this, it is cost free and you just have to put a mark in the form while applying for the same. After you have cleared your PSV/PCV medical tests and have availed the interim licence, you have to clear some theory exams that are related to PSV/PCV. As we adhere to some strict rules in our training centers, you need to clear this PCV theory test and get the licence. Only after this, you will be able to go for our PCV training courses so that you are able to attain the best training so that you are able to clear your PCV practical test on the first go. The categories of PCV training is divided into two segments that are PCV Category D1 and category D PCV training. As we are offering the course in at every part of London, you can come to us with ease. 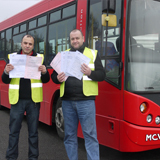 The PSV training courses that we are offering includes category D1 minibus licence training, Category D coach licence training, category D1+E minibus and trailer licence training along with category D bus licence training. 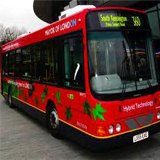 The PCV/ PSV training sessions that we are providing across London are suited as per the need and requirement of the users. For availing the PCV category D automatic bus licence, a person has to pass the test of driving an automated bus. Once you cleat it, you will avail the licence of category D.
For PCV category D coach licence, the test is conducted in a manual coach. Once you pass the PCV coach test, you are categorized under category D for driving a manual PCV. If you are interested in working as a minibus driver, then you need to avail the PCV category D1 minibus licence. 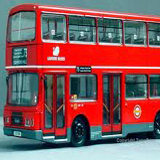 It is essential to get the D1 minibus licence and come under the category D1 so that you can make some money by driving a minibus. If you are already having a minibus or a trailer, then you must get the Minibus licence along with PCV category D1+E. Once you clear the PCV D1+E along with D1+E, you will be able to drive a minibus along with a trailer for more space and passengers. 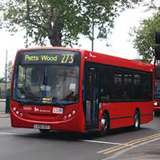 So………….if you’re still unsure if you are making the right choice in your PCV Bus driver training provider – call us on 020 88190000 and book a free assessment – you won’t be disappointed.